First of all you will require an Ethereum wallet, the easiest way I found to do this is to go to https://www.myetherwallet.com/ and create your wallet there, you will need to keep a safe note of your private key as this will be used to access your funds. Once you have acquired your private key from MyEtherWallet download the google chrome browser if you do not already have it installed on your computer, I recommend google chrome as I myself have had issues using the EtherDelta site with other browsers. You will then need to install the MetaMask plugin for google chrome, I have left a link to this below. This a tool used to essentially import the wallet you just made in MyEtherWallet into the plugin so that it can be used in the exchange, To import your wallet click on the MetaMask icon (Looks like the fox on the website) in the top right of your google chrome window. 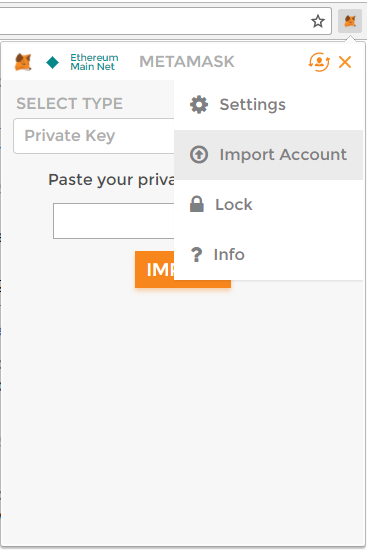 Go through the initial setup instructions, creating a password and taking note of your 12 word recovery phrase, then click on the 3 horizontal bars in the top right and select import account, here enter your private key to import the wallet we created with MyEtherWallet. Also assure you are connected to the MainNet, a picture below shows the button and list of networks. Now your wallet has been imported into MetaMask you need to send some ETH to it to purchase the tokens with, simply go to switch accounts and select the new account you just imported and there will be a button to copy the address. Once your funds have arrived browse to the following link, under the deposit section it should show the amount of ether you have in your wallet, deposit the amount of ETH you would like to spend on VERI, select and order from the order book and buy/sell, under the new order section you can set orders for other people to purchase. Once you purchase your VERI tokens and withdraw your funds into your account you can access this from any other Ethereum wallet using your private key. I am happy to answer any further questions in the comments! Would I be purchasing ETH or Veritaseum and at what price? A sell order is for selling Veritaseum, so you would sell 99 Veritaseum for each Ether in that order form by changing the amount of Veritaseum to the amount you would like to sell. The green orders are buy orders for Veritaseum, as shown below. On these orders change the amount of Ether you would like to use or the amount of Veritaseum you would like to purchase, and click sell. can someone tell me how to withdraw veri from deposit box on eth/delta . just put amt then hit withdraw. 2) then it goes into ether /delta veri wa;;et ? 3 ) then how do i get it to my ether wallet mew. do i need shapeshift, i don t understand how to send it there is no window or mecanism? You need a few bucks on Meta Mask for gas to get the coins back and forth - I had this problem as well - hope this helps! thanks so much. veritaseum is popping, I can't miss the train. I cannot see VERI for sale on etherdelta, can you confirm its still for sale? Also in your last paragraph you refer to a link, "Once your funds have arrived browse to the following link, under the deposit section it should sho.....". However there is no link. Am i still able to buy VERI? I'm trying to send my veri to a wallet from etherdelta and its saying my address doesn't match my metamask?? Can you help??? I have some veri in my etherwallet, I would like to send them to etherdelta to sell few of them. How do I send Veri tokens from myetherwallets to etherdelta. Of course the token in myetherdelta are veritas and it seems I may only be able to send ethereum coins to myetherdelta (because I dont have an address for veritas token on etherdelta). How do i transfer tokens to etherdelta so that i can sell them? I placed an order to buy VERI on EtherDelta my order was confirmed and then sent to the order book but after two days my order is still not listed under MY TRANSACTIONS. This is the second order I placed, the first one showed up after about 12 hours and was then filled about 12 hours after that. Any thoughts or suggestions? I have a similar issue to @cryptocoincache. 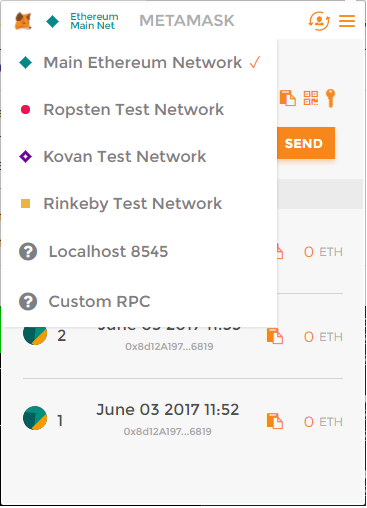 I created my ETH wallet and did a small test by making a coin purchase (without MetaMask). My transaction showed up in EtherScan, but I don't know what to do from this point on to access this coin or create a wallet for it. Help? Congratulations @discostu! You have received a personal award!